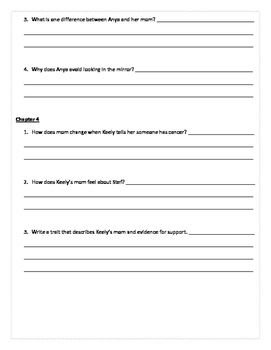 This thorough chapter log is used to accompany the novel, Because of Anya. 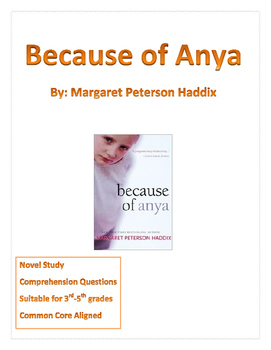 This novel study is split into 4 sections with vocabulary and several comprehension questions for each chapter. The comprehension questions are not surface based, but rather deep questions which require critical thinking skills. The chapter log is aligned to the Common Core Standards and focuses on skills such as making inferences, characterization, cause and effect, point of view, compare and contrast, and story elements. This chapter log promotes a true understanding of the book! This can be used if reading the book as a whole class, independently, or in literature circles. It is suitable for 3rd-5th grade.